For more information about how Showrooms work and which type of Showroom is right for you, see What is a Showroom? 1) Click the Showrooms icon located at the top left. 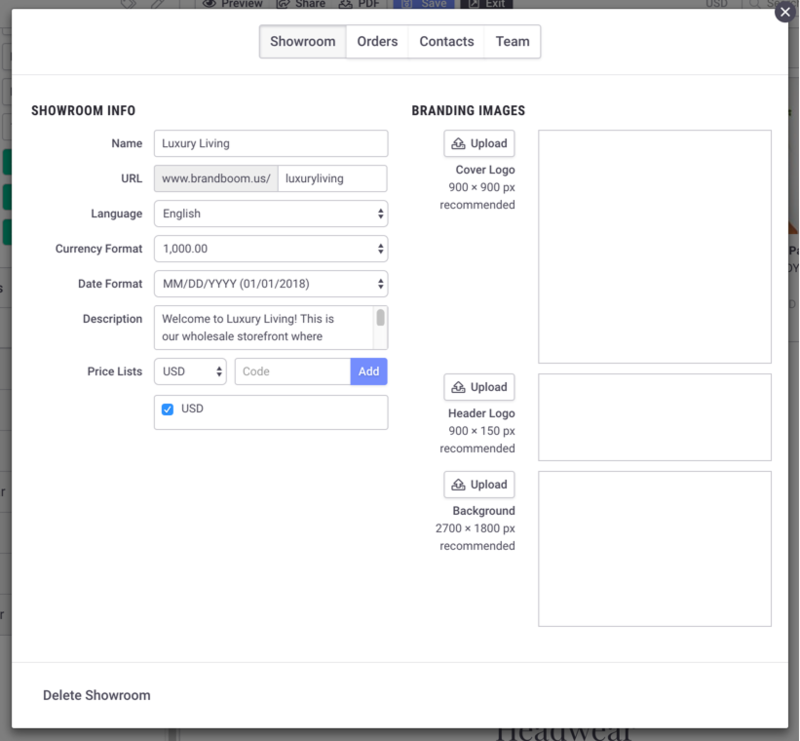 A side panel will list of all of your Showrooms. 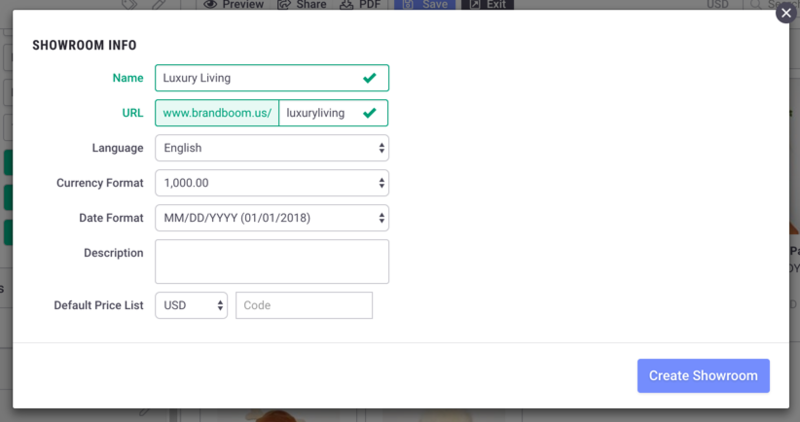 To create a new Showroom, click the "Add Showroom" button. 2) A window will pop up displaying your options: New Master Showroom, New Sub Showroom, and New Vanity Page. Click "Create Master" to create a new Master Showroom. If you are interested in the other options, see Create a Sub-Showroom and Vanity Page for more info. 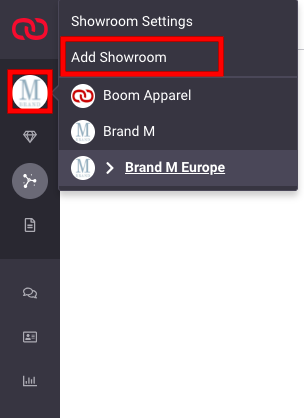 4) The new showroom will appear in your left hand panel and the Showroom Settings will appear, allowing you to customize the newly created showroom.